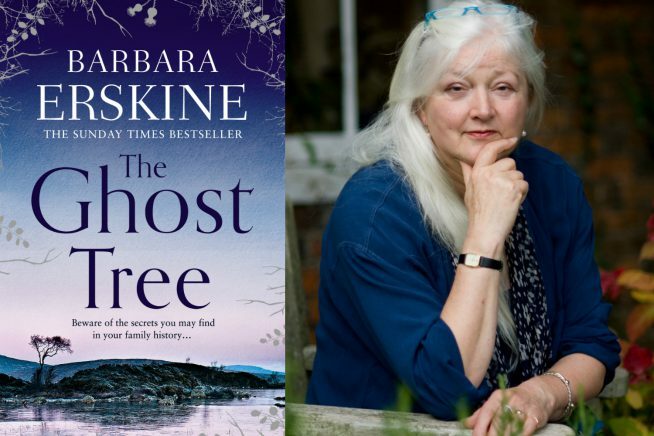 Barbara Erskine’s new novel The Ghost Tree is a tale of tracing ancestry, exploring the life of her great grandfather, five times removed, Thomas Erskine, who rose from genteel poverty in Scotland to become the Lord Chancellor in 1806. Barbara is a former Patron and continuing supporter of Essex Book Festival. Barbara’s new novel The Ghost Tree is a tale of tracing ancestry and explores the life of her great grandfather, five times removed, Thomas Erskine, who rose from genteel poverty in Scotland to become the Lord Chancellor in 1806. Thomas famously had a ‘second sight’ and the novel explores how this impacted his life and career. An historian by training, Barbara Erskine is the author of eighteen novels, at once demonstrating her interest in history and the supernatural, plus several collections of short stories. Her books have appeared in at least twenty-six languages. Barbara’s first novel, Lady of Hay, has sold over three million copies worldwide to date. She lives in Hay-on-Wye.